Most international tourists use online search engines to gather information about the campervan rental companies in Christchurch. But no visitor can choose and hire the right campervan simply based on the information posted on the website of the campervan hire company. In addition to choosing a campervan that is well designed, comfortable and clean, it is also important for the visitors to hire the motor home from a reputable and reliable company. Within a short span of time, Camperco has emerged as a hugely popular and reliable campervan rental Christchurch company. Despite being a South Island based company, Camperco provides campervans to help tourists in exploring New Zealand in a hassle-free and comfortable way. Each visitor has option to choose from campers with 2 berths, 2-4 berths and 2-6 berths. But each campervan is well-designed, clean, comfortable and fully-equipped. 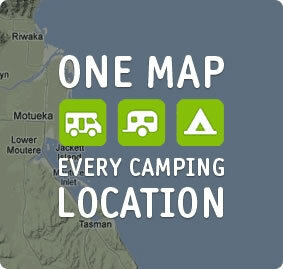 As Camperco allows customers to choose pick up and drop off locations in a flexible way, it becomes easier for the visitors to explore New Zealand without any hassle. The company also understands the facilities and amenities required to make camping enjoyable for international tourists. Each campervan provided by the company includes comfortable double beds along with bedding, pillows and linen. Further, the visitors can use the under-bed cupboards to store their luggage and camping gear. Each campervan is also equipped with a 12V power invert that can be used by the visitors to charge their laptops, smartphones and tablets. They also have option to prepare delicious meals by using the 2 burner gas cooker, pots, pans, cooking utensils and plates provided by Camperco. The campervan rental Christchurch company further makes the trip secure for customers by providing free insurance and 24 hours road side assistance. Camperco is also passionate about building a base of happy customers by providing high quality campervans at affordable prices. Want to receive a quick quote for your upcoming trip? Click here.